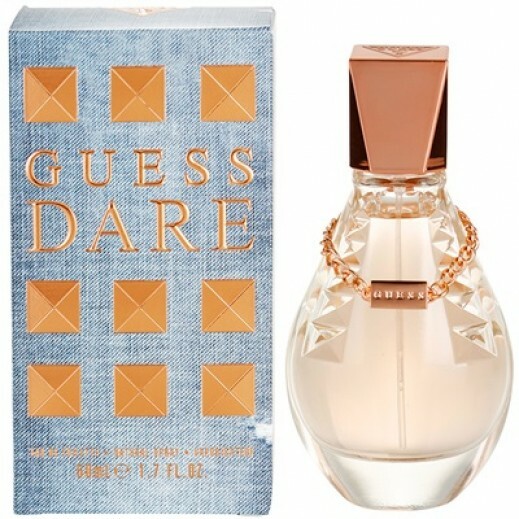 ♦ Top notes: This Guess Dare EDT initiates with the refreshing notes of kumquat, lemon blossom and pear blossom that ensures that your presence never goes unnoticed after wearing it. The top notes complement base notes well and set the stage for middle notes to spell their dominance in the air. ♦ Base notes: At the base of Guess perfume lie the stimulating accords of blond wood, coconut, and musk. These elements ensure that the EDP retains its easy-on-the-senses quality while diffusing a pleasant aroma.